Stoner Doom veterans YOB return with an absolute tour-de-force that may prove the highlight of their career. 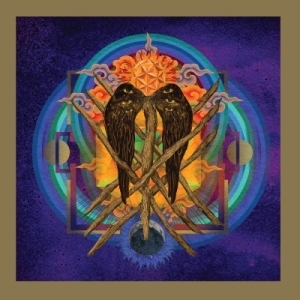 YOB, a band that has come to rank among the elite that define our beloved genre of Doom Metal, first surfaced on my radar in 2003 when I received 'Catharsis' for review. I was drawn in by the album cover, curious to ascertain what sound within could represent such inviting astronomical art. 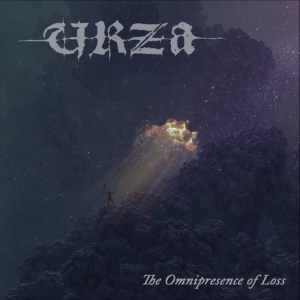 It is rare when albums come along that cause me to listen to them yet again after finishing a session in entirety, and 'Catharsis' successfully stood in that rare class. The music was dauntless, compelling, crushingly slow while never flirting within the lines of boring, and ultimately, psychedelic in a timeless manner. The album did not leave my car...for years. 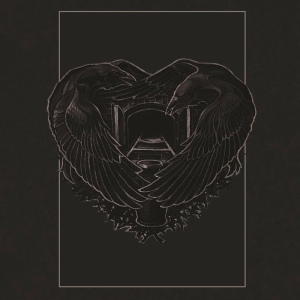 Now fifteen years later and after five other full-lengths, the band stands on the precipice of releasing 'Our Raw Heart', a collection of seven songs spanning a breadth of emotion and intent. Mike Scheidt, singer, guitar player and main songwriter, had an experience that left him completely altered afterward. He was unsure for a while if he could carry on with the band and his career after a debilitating pain suffered while grocery shopping forced him to be admitted into the hospital. He was subsequently diagnosed with acute diverticulitis and had to undergo surgery just a few days later. In the wake of life altering events as such, ones causing one to evaluate every facet of one's life including its ultimate meaning and purpose, the material on 'Our Raw Heart', thankfully delivered after Scheidt's recovery, is delivered with a stronger purpose, born from adversity and now garnished in recovery. The album opens with 'Ablaze', a fitting title for an opening track as the fire is lit for the coming artful ceremony. It starts with percussive riffs which develop into their own slow groove, and melodic vocals adorn the patent gargantuan guitar tone, thick bass, and crashing drums. It is largely a dirge, and one gets the impression of a soul laid bare, a deeply personal narrative. The crescendo formed from a daring bass creating its own melodic motif against the guitar's obvious tones serves to end the song on a high note. 'The Screen' follows, and though used liberally and vicariously to describe all types of music, the appropriate word to describe this tune is heavy. Heavy. Syncopated triplets with the snarl and growl of the deep bass alongside slow, methodical drums begin the song. It is truly ingenious the way the vocals open up the larger melodic ideas of the guitar during the chorus. I was absolutely floored by the fifth track, 'Beauty In Falling Leaves'. Beginning like a peaceful, placid lake in the morning, it is a most elegantly crafted ballad. 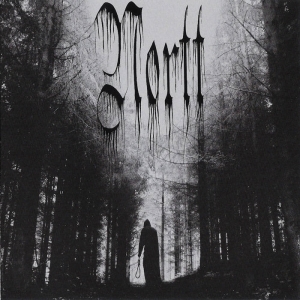 The unique use of large overhanging chords drowning in Phase 90-induced modulation complement the mournful vocals giving it its own unique flavor. One cannot help but get swept away and lost losing concentration on anything but the music. Closing the album is the title track, one that when reached appears to be the point which all of the preceding music leads to. It is extremely infectious, the ultimate final adornment for a truly personal, gripping, invocative album. The overlapping melodies and swathing effects in the finale are reminiscent of a favorite Beatles tune, 'Tomorrow Never Knows'. This is a song that truly comes alive making an indelible mark on the listener. The maturity and skill presented by all three musicians is to be marveled at. Contained within is a guitar and bass aficionado's dream as Scheidt and company produce myriad tones from the sparkling glassy to girth-filled brimstone. The rhythm section provides the brick and mortar upon which their church is constructed. A wise, studied example of tasteful bass playing is married to drumming that ranges from thunderously impactful to calmly docile, fitting snugly into whatever role is needed for the song to truly shine. The guitar playing is monumental. It's remarkable how the little things such as the way Scheidt ends phrases with short, dissonant chord stops add up to envelop the original sound that is attained. The tone is stretched across the aural spectrum, filled with just the right amount of distortion to allow all the notes of each chord to echo, and just the right attack to deliver the ample amount of aggression alongside the powerful percussion and bass. Vocally, the album ranges from harsh bouts to absolute emotion-filled cleans, filled with spacious amounts of reverb echoing through the mind through headphones. It is truly the best vocal performance of the band's tenure as Doom elite. 'Our Raw Heart' feels like a trip through life's emotions, and in all reality, it actually is. The sound is huge: Type O Negative huge, Pink Floyd huge. At times violent and harsh, and at times soft and understated, every emotion between is represented. The aggression and inventive traits of past albums are retained, but with new found purpose. This is truly YOB's 'Physical Graffiti', a tour de force, an amalgamation of all they do, finely tailored and fermented, thankfully sealed for all time as recorded. To face unmitigated pain and the possibility of life's unfortunately abrupt end does more than change a person. What we are gifted with in this album is Mike Scheidt's metamorphosis into an altogether different spiritual being, one with the tools to elicit the most painful, personal of emotions and commit them to the recorded medium, exorcising his own demons as well as plotting his own course through the cosmos.